The year of 2013 was another big one for us! A lot happened this year - this is a quick recap! -Rang in the New Year up with Gwen for a feeding! Her first holiday. 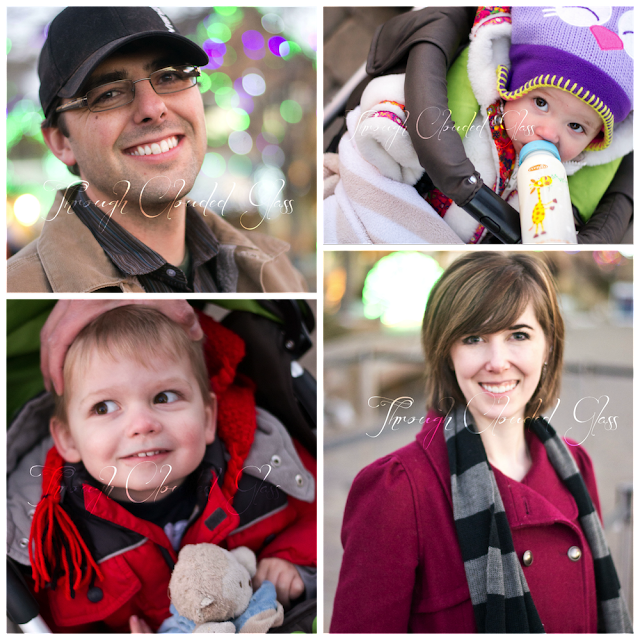 -We started out our first year as a family of four! 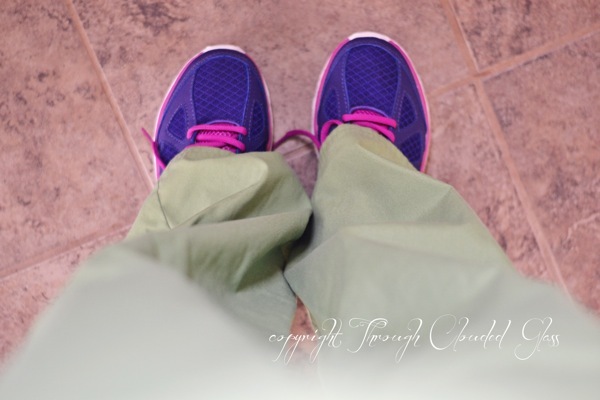 -I wrote about Gwendolyn's birth story. -We took Gwen's newborn photos. -I picked my word for the year. -We went to a rodeo/stock show together - our first real outing as a family of four! -I survived my first day out alone and about with two kids. -I held a star-themed baby shower for my sister. -I started avoiding dairy because Gwen seemed to be allergic to it. -Gwen turned one month old. -Derek started traveling and I started watching the Bachelor/Bachelorette (I know, I know). 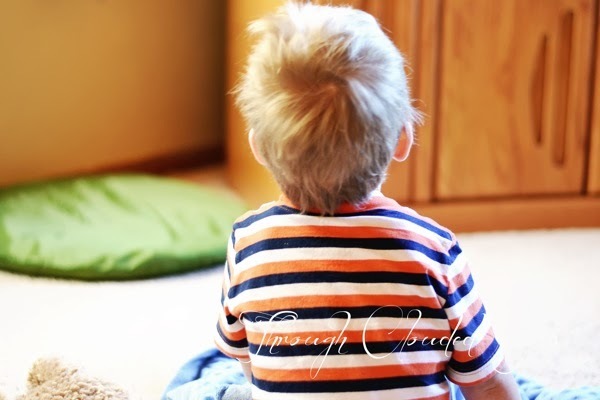 -Started potty training Wyatt, then I got overwhelmed and quit again. -We had a tractor birthday party for Wyatt! -Gwen turned two months old. -We took Gwen to visit the paramedics who helped deliver her. -Gwen started sleeping through the night! -I made up a coffee syrup recipe. -I went back to work (one day a week). -Gwen turned three months old. -Gwen laughed for the first time on April Fool's Day! -Derek and I went to see "Sense and Sensibility: The Musical". -I started my anniversary countdown posts. -Derek got me an iPad! -I got the spring cleaning bug. -Gwendolyn and I got really sick for the first time since she was born. -I started a 30x30 challenge. -Gwen turned four months old. -I cleaned out all the closets in our house. -We moved Gwen's room upstairs. -I finished my 30x30 challenge. -Gwen started rolling both ways and sitting up by herself, and we started feeding her solid foods. -Gwen turned five months old. -I finished re-decorating our bedroom, the office, and Gwen's new room. 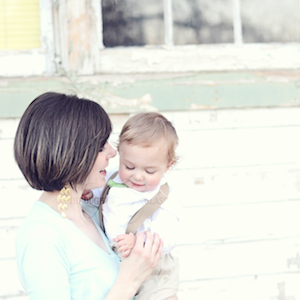 -I wrote about how Wyatt started talking so much more and other fun things about my boy! -Wyatt started singing songs with us. -We celebrated my birthday and Father's Day. -My friend Ashley and I went to a pottery shop. -Gwen started sucking her thumb. -Derek's brother and sister-in-law came to visit! -Gwen seemed to grow out of her milk sensitivity. -Gwen turned six months old. -We took Gwen's six month pictures. -We celebrated the 4th of July! 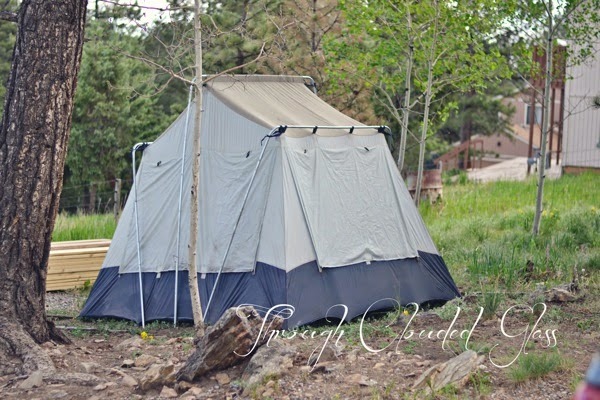 -We went on our first family camping vacation to the Grand Canyon. 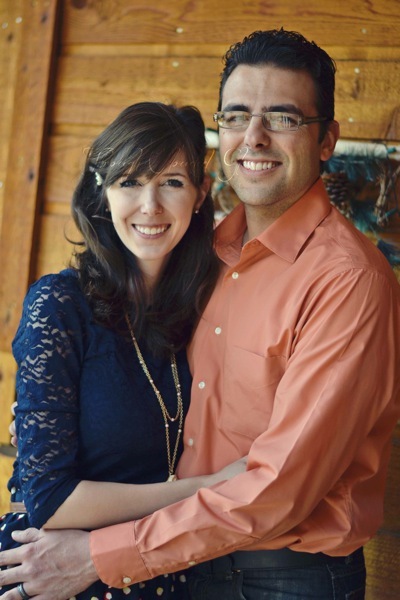 -Derek and I celebrated our 5th anniversary! -We went to a Hawaiian-themed family reunion. -We took the kids swimming a few times. -Kind of started potty training Wyatt again. -Gwendolyn turned seven months old. -I got pregnant, but didn't know it yet! -I wrote an update on the many books I read the first half of 2013 - 32 books! -We took our five year anniversary pictures (which I will post one of these days!). -After growing my hair out for almost two years, I finally cut it! And it felt good. 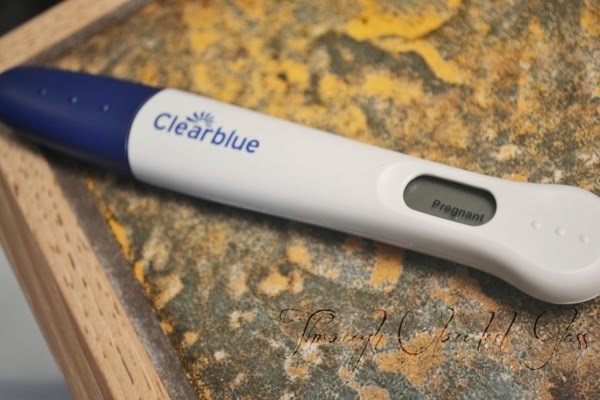 -I found out on August 10th that I was pregnant! Biggest surprise and best news of the year! -I apparently had a hard time writing much of anything except book reviews for the rest of the month. -We visited a peach festival and went to a hot springs, and I invented a peach salsa recipe! -We went to our county fair and rodeo. -I felt slightly nauseous throughout the month. -Gwendolyn turned eight months old. -We enjoyed a campfire at my parent's house. -I started planning Wyatt's "big boy" room. 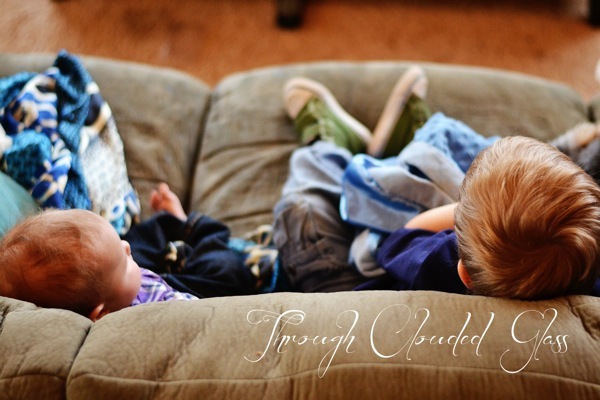 -We started preschool at home with Wyatt. -We started going to MOPS again. -I wrote about cute stuff Wyatt was doing. -We had our first ultrasound, and baby looked great! 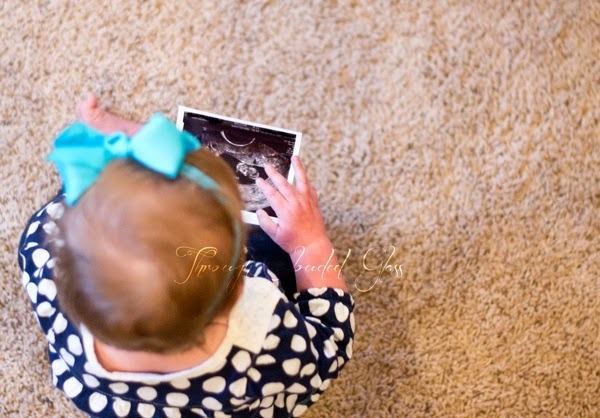 -We told our families about Baby #3! -I started my blogging tips series. -Finally got serious about potty training Wyatt! -Gwen started crawling on her hands and knees and pulling to her feet. -Gwen turned nine months old. -I invented a lemon fudge recipe. -I finally told everyone that we were having another baby! Posted the full story here. -Caught up on baby bump pictures, wrote 12 weeks pregnant and 14 weeks pregnant posts. -We did a bunch of fun stuff - went to the zoo with friends, took Wyatt to his first movie in the theater, and went to a corn maze! -Discouraging stuff happened, which I still can't go into. Maybe soon. -Gwen started walking around furniture. -Gwen said her first real word - "hi", and decided she was done with baby foods - only finger foods from now on. -Gwen turned ten months old. -16 and 18 weeks pregnant. -I sent out our gender reveal party invitations. -I did a wine (*no wine for me) and painting class with some friends! -I finished Wyatt's big boy room! -I did a new wall display in Gwen's room (those white flowers would just not stick). -Gwendolyn turned eleven months old. -Celebrated Thanksgiving (Gwen's first! 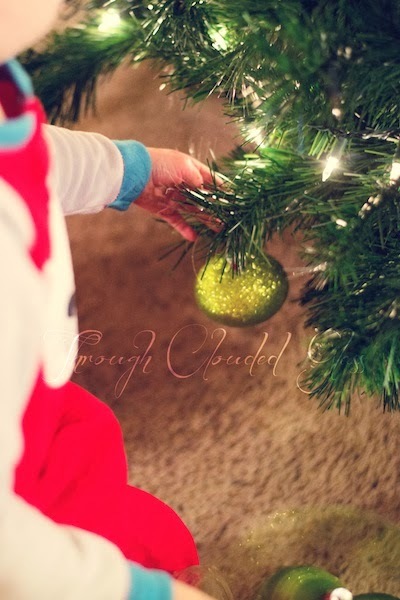 ), went to a Christmas parade, decorated for Christmas, and turned 20 weeks pregnant! -Had our 20 week ultrasound and found out we are having a baby BOY! 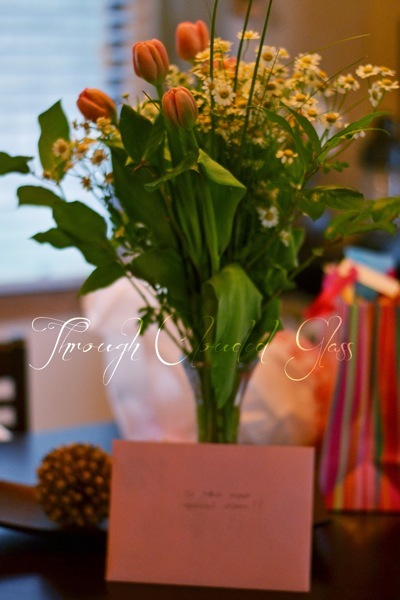 -Had a Christmas gender reveal party. -Sent out invitations to Gwen's first birthday party. -Turned 22 and 24 weeks pregnant. -Celebrated Derek and Gwen's birthday! This past year has been so full of blessings, and looking back I realize just how great a year it has been! The Lord has given us so much, and I'm so thankful. Can't wait to see what will happen in 2014! I'm sorry if you're seeing this post for the second time, I had some post scheduling issues. Since 2013 is coming to a close, I wanted to reflect a little bit on the word I chose for this past year. This is the first year that I've participated in choosing a word for the year, and I think it was a good experience. When I first chose the word, I thought I had an idea of how the year was going to go. I thought that we probably wouldn't start trying for another baby until the end of this year, so I wanted to just take these twelve months and appreciate all the sweet times with my two babies. I wanted to try not to worry about our past trying-to-conceive problems until (I thought) I had to face them at the end of this year. Sometimes I get so wrapped up in future plans and worries about the future that I forget to take time to truly appreciate the moments that I am in right now, so in my mind I chose that word as a reminder to myself to not worry and just treasure the present moments. And that's what I did, but little did I know that the Lord would bless us with a surprise baby! So at the end of July, instead of remembering not to worry about Baby #3 and appreciate this year with Wyatt and Gwen, "treasuring" became about treasuring every moment with Wyatt and Gwen and each little milestone with this baby. Having the word "treasure" became a good thing in another way, because when you already have two little kids running around it requires more intentional thought to notice and treasure the little moments with the baby growing inside you. That first bit of movement, breaking out all my maternity clothes again, watching my belly grow - I want to treasure every minute of this pregnancy, because it may very well be my last. Another way that the concept of "treasuring" the moments took me by surprise this year was how much I have come to appreciate and treasure Derek. I'm not sure why my time with him wasn't something I thought about when I picked "treasure" as my word, but it wasn't. In 2012 Derek got a new job that requires him to travel a lot, but the traveling didn't really start until this year - and having him gone so much makes me realize how much I had taken him for granted. It also makes our time together that much more precious to me. He is home for now, until he has to start traveling again in the next few months, and I am just soaking up the time of having him here. The little things make a big difference, even something like having him sleeping next to me. I never would have taken time to appreciate something like that so much if I didn't get the experience of not having that every day. So while I kind of hate this part of his job right now, in a way the Lord has used it to remind me to treasure the biggest thing in my life that I often take for granted - my husband. So all the travel has ended up being a blessing (in an ugly disguise). "Treasuring" has not looked like I thought it would this year - but I think it describes my year perfectly. This year has been about learning and remembering to treasure all my "little" (which are really big) blessings. The Lord has used this challenge in some surprising ways in my life this year - He is always keeping me guessing. It's been a reminder that I can't plan things out, and the Lord decides how my life will go - and He has good plans for everything, even something as simple as a little word. I can't wait to see what He has planned for 2014. That was the moment I first saw you. When the contractions started the night before, I was so excited. You were coming! I was finally going to get to meet you, and maybe my secret wish would be fulfilled and you would be born on your daddy's birthday. Fast-forward five hours, and I was surrounded by strange men, careening down the highway in an ambulance, bawling my eyes out and screaming in pain. You were coming. And this was not how I envisioned your birth. I was terrified. They wouldn't let your daddy ride in the back with us. He was so worried and rode the entire way to the hospital with his neck craned, trying to see me and help me. I heard his voice between contractions. 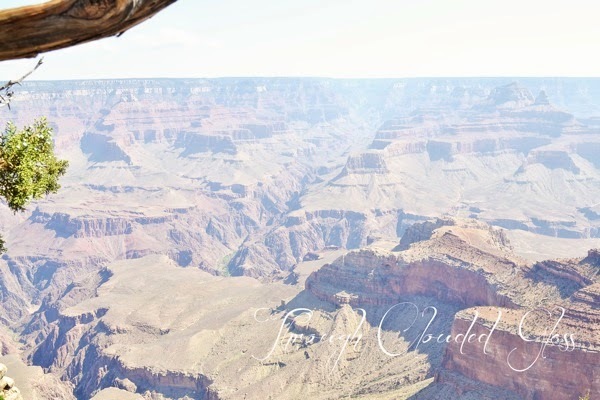 At some point the Lord took away my fear, and I just knew. You had to come now. So I gave one final effort, one final scream. . .
And then you were here. And in that moment when I looked down and saw your sweet little face, your little arms and legs curled in so tight, all the fear was gone. I didn't remember the pain. You were okay. I was okay. You were here. And you were so beautiful. It could have turned out so different, Sweet Baby, and I know Jesus was watching over both of us. They wanted to clean you up before I held you, but I was too impatient - I reached over and snatched you away while they were still trying to wipe you down. I held you. You opened your eyes and just looked at me. I was the most blessed woman in the world. Today is Gwendolyn's 1st birthday. I can't even believe it's been a year already. She is such a blessing from the Lord, and what a joy she has been to us! Her life outside the belly started off in such a dramatic way, but what I love most are the little, seemingly insignificant moments we have had together over the last year. When she cries her rolling cry and quiets when I pick her up. Her little chuckles. The way she blinks her eyes hard at people when she's happy. Little arms stretched out to me. Her four little teeth that show when she grins. These are the things I treasure. I feel so blessed to have Miss Gwen Ruby as my daughter. We love you more than we can say, Baby Girl! May you (and your daddy!) have the happiest birthday today. "Once the light of Christ shatters your dark, shadows forever flee your shadowlands. There's no going back and living in the dark; you live in the impenetrable, safe Light of light, and Christmas never ends for you. A Christian never stops living Christmas. True, you cannot light Christmas - because it's Christmas that lights you. It's Christmas that dawns on you, and you only really believe in Christmas when you really live it. When you light a dark world and the unexpected places with a brave flame of joy; when you warm the cold, hopeless places with the daring joy that God is with us, God is for us. . . When you are a wick to light hope in the dark - then you believe in Christmas." If you know Christ, you truly know Christmas, friends. So go scatter His joy. May you, and all those you touch, have a very merry Christmas. A month or so ago I bought some clear plastic ornaments. Honestly I had no idea what I wanted to do with them, I just thought it might be a fun project with the kids. Well, after some research, I decided what we would do, and last week I sat down with the kids to make them! I made these two because each represents one of my sweet kiddos right now. The train is for Wyatt. Wyatt is so into trains this year - he couldn't stop talking about it as I was painting the train on! The penguin is for Gwen, because the other week I put Gwen into some new penguin pajamas and I showed Derek - she looked so cute in them. Then he started calling her "Pen-Gwen" - get it? So her new nickname is Penguin, which I think is adorable! Then I made these glitter ornaments with the kids; handprints on them - yes, it was messy. But it was also a lot of fun, and Wyatt loved helping me with the glitter! I copied the idea on this blog for the penguin ornament (except I also used glitter), and I used this tutorial to do the glitter on the inside of all the ornaments. The mess was worth the memories! In other Christmas prep news, today has been officially designated as my baking/Christmas-goody-making day! I have had a few fall backs for Christmas goodies since we first got married, but this year I'm trying some new treats. Watergate Salad - For Christmas dinner at my mom's. The recipe I'm using is similar to this. I have never made this before, but I'm told it's easy. Breakfast Potato Casserole - My grandma's recipe - this will be for Christmas morning. I'm just going to get it ready and put it in the fridge so we can just put it in the oven on Christmas. Bacon Jalepeno Cheese Ball - I've never made one before, but my mom said she was making a cheese ball for Christmas, and I thought it was a great idea! So I'm going to try this one. Chocolate Covered Cherry Cookies - Okay, this is one of the fallbacks, but it's one of our favorites so I wanted to make it again. I'm adapting it this year though, because the recipe I have used in the past is too crumbly. Carrissa's Chewies - My mom bought me this Rocky Mountain Sweet Shop cookbook, and these cookies are in there. They involve coconut, chocolate chips, and almond extract. Yum! Blitzen's Bites - From the same cookbook above. In which you pile cocounut, brown sugar, toffee bits, marshmallows, and almonds on top of graham crackers! They looked good. Rolo Pretzel Bites - I don't know who first came up with these since I've seen them on Pinterest and the Rolo bag, but it's genius! Some sort of popcorn creation - This is still in the works. I just wanted to do something with popcorn. I may end up coming up with my own creation. Vegetables - I'm just going to cut up a bunch of vegetables for us to munch on. Sometimes on Christmas I just get sweeted-out (my own term for having too much sugar in a 24 hour period). Do you do a spread of Christmas goodies for your family? Christmas time can be stressful. It sounds grinchy to say that, but it can be. I have been running our family Christmas celebrations for the last six years, but this year I am feeling it. The stress. Crunch time. The song "If We Make It Through December" has finally started to make sense. There is so much to balance, and so much to do at Christmas, some of it fun, some not so much. Trying to manage the Christmas budget and scrape up enough money for everyone's presents. Wrapping the presents. Making the cookies, decorating the house, ordering the Christmas cards. Addressing and mailing the Christmas cards, going to cookie exchanges, family gatherings. Watching the Christmas movies, remembering to do advent before kids go to bed, listening to all my Christmas music. And in the midst of all that, trying to carve out some time to do some fun Christmas activities with my own family. But even though I'm up to my neck in "Christmas", I still feel like I'm missing it. I realized the other day that I'm letting all these Christmas activities choke Christmas. I am so busy with Christmas festivities that I don't take time to sit down and think about it. Christmas is not about everything I mentioned above. Those things aren't bad, and most are lots of fun, but that doesn't make Christmas. Christmas is Christ. And like the innkeeper on the night He was born, I'm letting my busyness squeeze Him out. The to-do list is a mile long this week, but I'm going to make some of it wait. I'm going to slow down and think about Christ, and spend time with Him. I think that's what God wants from me most for His birthday. To make time for Him. To make Him first. That's more than just reading a Bible story or going to our Christmas Eve service. It's waking up early to have my morning coffee with Jesus. It's talking to Him, and listening, reading His word. 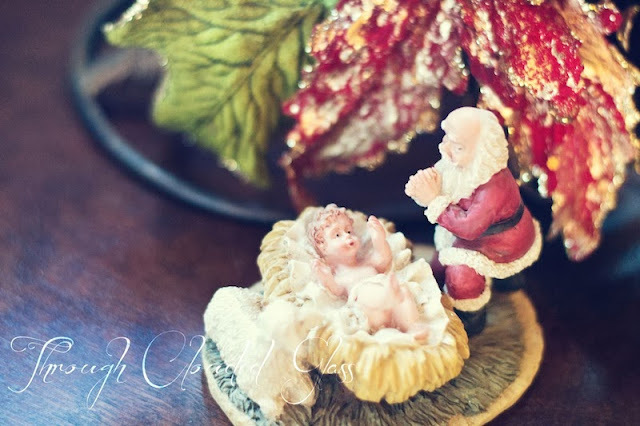 It's setting my mind on Him, and His birth, and His life, and the reason He came, instead of letting myself be consumed with all these earthly holiday concerns. He is what it is all about. And I don't want to miss Christmas. David And Joseph Books - Review And Giveaway! I love having bible story books, or books with biblical lessons for Wyatt and Gwen. The more the better! So I was excited to get the opportunity to review two books this month - My Story: David, and My Story: Joseph from Thomas Nelson. These books are just fun. The illustrations are beautifully done and fun to look at, and each story is written from the main character's perspective. The book starts out with an introduction page for all the characters in the story, and it was fun for me to read to Wyatt because there is some humor thrown in here and there as well (like arrows pointing to Saul's "trendy beard" and Goliath's "big, ugly toes"). The funnest thing for Wyatt was looking at all the stickers in the back! We are at an age where Wyatt loves stickers. It was hard to talk him out of peeling them off right now, but I'm hoping to save them for when he's a little bigger, because at the back of each book are "journal" pages where you can decorate the story with the appropriate stickers! The one thing I wasn't crazy about was that I felt like the story of David, particularly his conviction, was told weakly. In the book David decides the rewards for killing Goliath sounded "cool" and that was his reason for choosing to fight him. But in the Bible David chooses to fight him for more righteous motives - because Goliath was "defying the armies of the living God" (1 Samuel 17:26, 36). I would have appreciated a little more depth on that point. Other than that though, I thought these books were cute and fun, and Wyatt (and Gwen) loved looking at them! Note: I received the books "My Story: David", and "My Story: Joseph" for free in exchange for this review. This is my honest opinion. If you would like a chance to win copies of both of these books, enter the giveaway below! I'll leave this giveaway open through December 31st at 11:59 PM, since things get crazy with the holidays. Enter away! I can't believe it, but in about a week Gwendolyn will be turning one year old! It seems surreal to be talking about her first birthday party already. I've been thinking about her party theme for a while, and it's changed a couple times. Can I just say that it's a little challenging to think of a fun party theme when your baby's birthday is so close to Christmas? It was hard to think of something that fits with the winter season that doesn't seem too Christmas-y. I think I finally hit on a good theme though, and I'm excited to post about it after her birthday party in early January! But in the meantime, here is a little sneak peek! 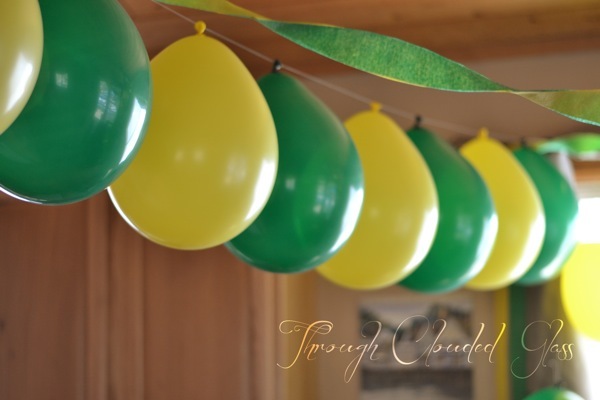 My blog friend Jenna runs the shop Elle Jay Party Decor, and she offered to send me a birthday banner to review! I was so excited to have a nice, professional banner for Gwen's party! I told her my theme and general color scheme, and she came up with this beautiful banner. I think it goes perfectly with my theme for Gwen's party, and I love the snowflakes! 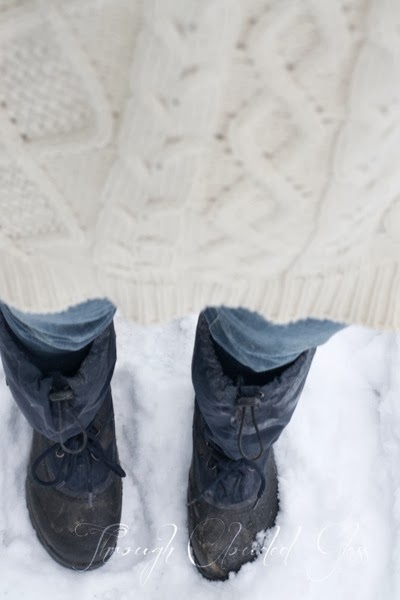 It's the perfect touch of winter without being Christmasy. The ribbon and card stock are really sturdy, and I love it because I know I'll be able to use it again for some of her parties in the future! If you are looking for a custom birthday banner for one of your kiddos, check out Jenna's Etsy shop! She has so many cute, affordable banners, and she also does coordinating cupcake/cake toppers! She also has some adorable Christmas items available, and if you order by Friday you can still get them by Christmas Eve! She does beautiful, high-quality work, and is easy to work with. I highly recommend ordering from her shop! If you order something before January 31st from Jenna's shop, just use the code CALLIE3 to get free shipping! So that's one little piece of Gwen's party decor and theme - you'll have to wait for the rest! Note: I received this birthday banner for free from Elle Jay Party Decor in exchange for this review. This is my honest opinion. What Is An Ugly Sweater? 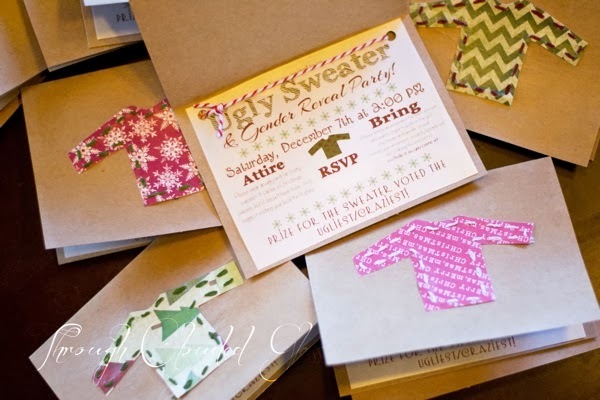 Ugly Sweater Gender Reveal Party Invitations!